If you are looking for a inspirational and motivational bulletin board that educators, parents and especially students can get behind, SignUp.com has just the thing! 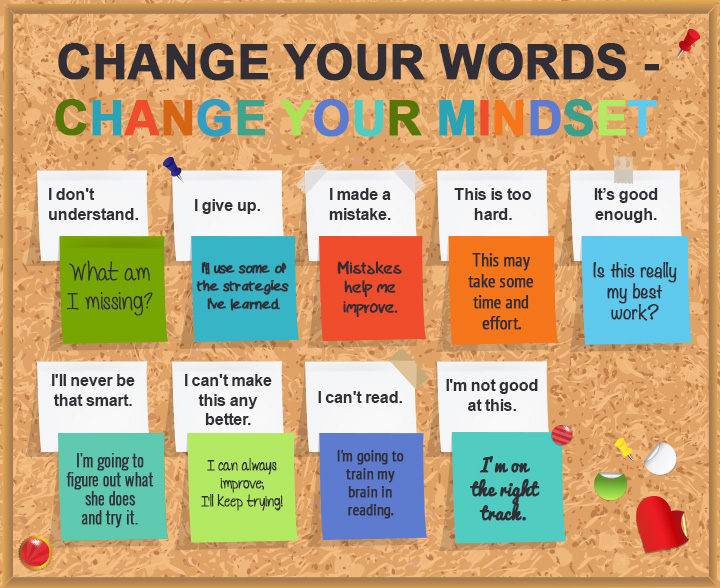 SignUp.com has created free printables classroom signs for you to create your own Growth Mindset bulletin board. Foster an atmosphere that encourages and inspires students and staff to continue striving, working and committing to on-going learning - and share with fellow friends and educators! Click the image below to download the printable PDF Growth Mindset signs. Print the first 10 on white paper, and the last 9 on colored paper to achieve the effect pictured below! Growth Mindset defined: Coined by Carol Dweck in 2006 in her book “Mindset,” the term refers to an implicit theory of intelligence. Dweck defines it so: "In a fixed mindset students believe their basic abilities, their intelligence, their talents, are just fixed traits. They have a certain amount and that's that, and then their goal becomes to look smart all the time and never look dumb. In a growth mindset students understand that their talents and abilities can be developed through effort, good teaching and persistence. They don't necessarily think everyone's the same or anyone can be Einstein, but they believe everyone can get smarter if they work at it."